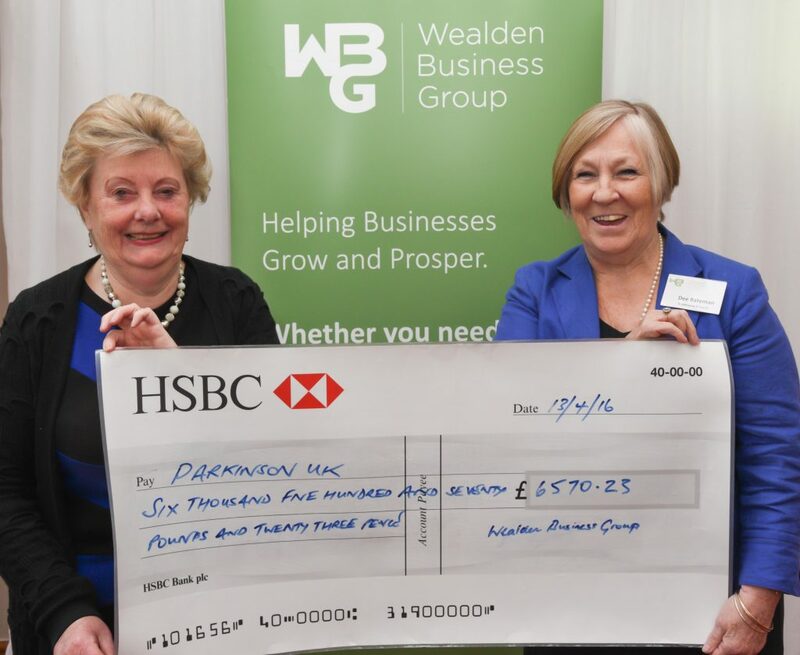 The Wealden Business Group today (Wednesday, 13th April) presented a cheque for £6,570 to the Ashford branch of Parkinson’s UK – a record sum raised in one year for the Group’s nominated charity. 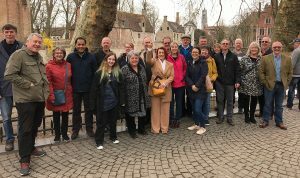 Christine Endersby, vice chair of Parkinson’s UK Ashford branch, thanked WBG members at their weekly breakfast meeting at The Little Silver Hotel, Tenterden, and said the money would be divided between supporting the branch’s activities and research projects into the symptoms of Parkinson’s. WBG raised the money through a series of events, including a weekly collection, a Race Night, and a black tie dinner at The London Beach Hotel, Tenterden – the hotel contributed more than £2,600 to the overall total.